Professor Desmond Ball, academic, military strategist and author of more than 40 books on military intelligence, died today at 3:35pm Australian time. Des work was impressive. He spent time inside US top secret nuclear and command centres, advising the CIA, the White House and the Pentagon, where he persuaded them that a limited nuclear war was impossible. Former US President Jimmy Carter, in a recent book credited Des as the man who saved the world and said, “Desmond Ball’s counsel and cautionary advice based on deep research made a great difference to our collective goal of avoiding nuclear war”. In recent years Des, despite battling cancer, never lost his love or focus for the ethnic people of Burma. 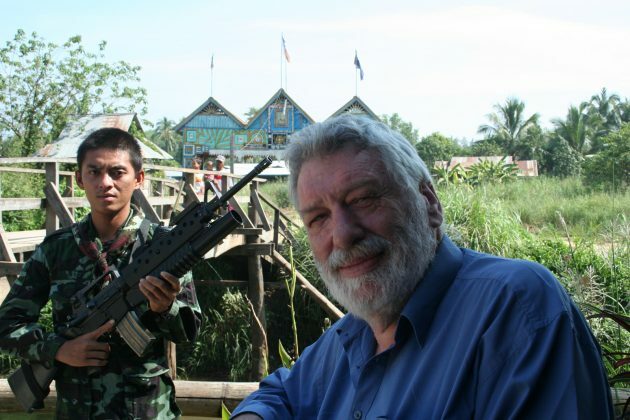 For the last 20 years Des spent much of his time amongst Burma’s ethnic people and armed groups. Des Ball was a harsh critic of the generals who used the Burma’s military to trample on the peoples’ human rights. He used his acclaimed position as an accepted and acknowledged ‘expert’ to speak out against the oppression of Burma’s military dictators. Des Ball is survived by his four children and wife.